From opera and ballet to film, theater, and rock music, Turkey has so many festivals that every interest is quelled with one great event after the other. Turkey offers more than just a stunning landscape and fascinating culture. It is home to a wide variety of Turkey holidays and festivals, many of which have been introduced to help the country develop. Check out some of the best festivals taking place annually in Turkey that everyone should visit. 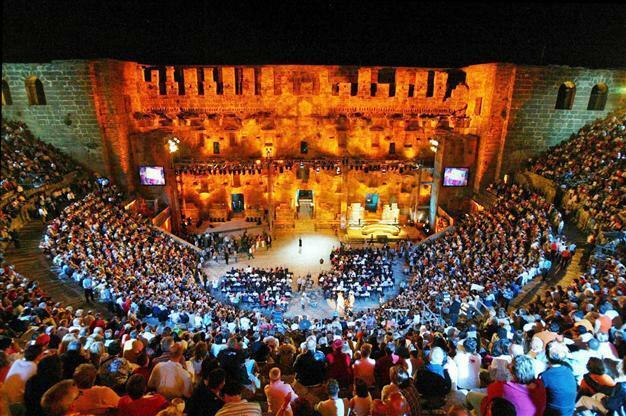 Aspendos Uluslararası Opera ve Bale Festivali has been organized by the Turkish State Opera and Ballet Directorate since 1994 with international participation by opera and ballet companies from several different countries. The festival is held annually each June and July. One of the favorite festivals in the country with 60,000 local and foreign viewers visiting the festival every year. 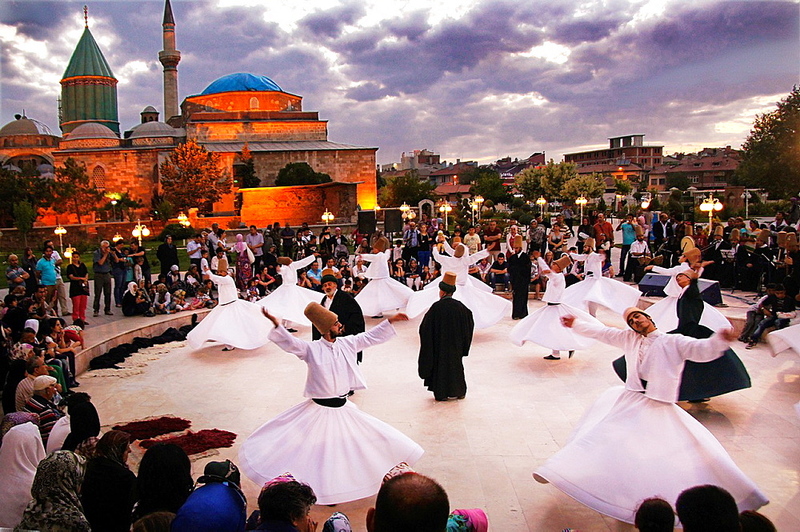 The Whirling Dervishes Festival is an important religious and cultural event that is held in Konya, Turkey, each year. The exact date of the celebration is based on the Islamic religious calendar, and as such, varies from year to year. Mention wrestling in Turkey and the first thing people think of is the Kırkpınar Oil Wrestling competition. It was born in 14th century Rumeli, and with its long celebrated history, it is one of the oldest wrestling festivals in the world. The Historic Kırkpınar Wrestling competitions last for seven days and are generally held at the end of June, beginning of July. The wrestlers no longer fight to the death, but the Kırkpınar Oil Wrestling Festival is still steeped in tradition. Camel wrestling is one of the very popular traditional sports in Turkey, where contests are held in the winter months from December to March. Throughout the event, batches are placed on camels who will wrestle each other to the ground with their long necks. The Ankara Film Festival is a wonderful event held in Turkey’s capital. Each year during the month of March, travelers, film-buffs, directors, and acclaimed actors from across the globe come to Ankara for screenings at venues around the city. Another excellent festival with a very unique location, Cappadox has been held annually since 2015, in the middle of the beautiful landscape of Cappadocia. Formerly Istanbul Festival is a cultural event held every June and July in Istanbul, Turkey. Tourists will be able to enjoy classical and opera performances, theatrical shows, and traditional tunes from regions around the country. This Roman festival known as Kakava is celebrated by Romani people throughout the Middle East and Turkey. 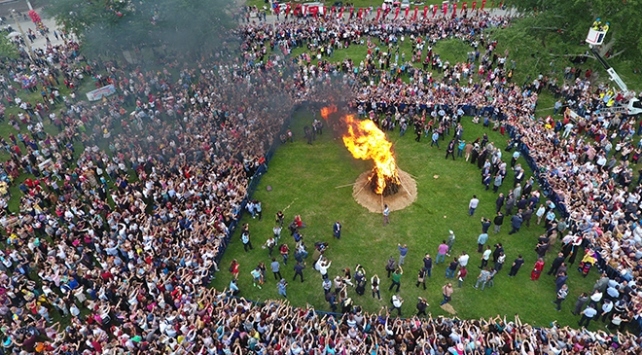 The Edirne Festival is enjoyed on May 5-6 and sees more than 5,000 people attend. Previous article Top 10 Colombian Body Gestures And Some May Save You While Traveling! Next article TOP 12 Amusing Facts About Condoms in History !! Summer Solstice : Where to Visit from Countries around the World? 7 Substantial Facts in Juneteenth Independence Day! !